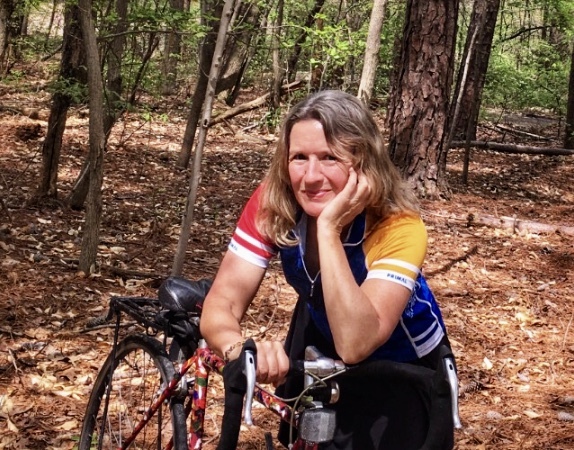 I woke up today and discovered this new review of Traveling at the Speed of Bike on Amazon, and I am just sitting here in gratitude as I hear the “who, who, who” of the owls outside my kitchen window — for people I know and those I don’t who take the time to share my journey with me and then to either gently whisper face-to-face or shout it out online to others. My “road to success” (so to speak) is slow, but then again, that’s how it’s best for me on bike. Moments like these keep me going. Thank you. If you have read and enjoyed my book, please know that I am deeply appreciative of the time you take to post your kind reviews. I invite you to keep Traveling at the Speed of Bike with me by following this blog and tapping in on Twitter and Instagram. We have a lot of miles to cover yet. In other publishing news, I was thrilled to hear that a book for which I served as a significant contributor is the topic of conversation today at the Atlanta City Studio book club discussion.